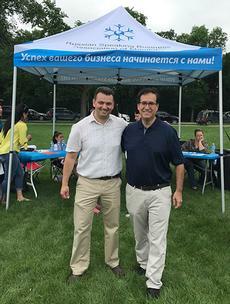 Boris Mednikov, a Russian-Israeli who came to Canada with his family a decade ago,says he and his wife Eka, will be supporting Marty Morantz's nomination campaign to become the candidate for the Conservative Party of Canada in the federal riding of Charleswood-St. James-Assiniboia-Headingley. Mednikov, who is the President of the Russian Speaking Business Association of Manitoba, says he has known Morantz since 2014 when Morantz was elected to Winnipeg’s City Council representing the Charleswood Ward. Mednikov says he is pleased to be volunteering his time to assist Morantz in his nomination campaign, and to help bring new Canadians in to support the campaign. "I met Marty at a few events and got to know him. Marty is a seasoned politician who has a proven record of success, "says Mednikov. "He knows what he's doing. He's well connected in the community, and he knows how to deal with people." Mednikov notes that as City Councillor Morantz has served on the Executive Policy Committee in high profile positions including as Chair of the City’s Finance and Infrastructure Committees. "As Chair of Finance Morantz brought in three balanced budgets. As Chair of Infrastructure he presided over the largest investment in roads in the history of Winnipeg. Since 2014 well over 400 million dollars has been spent fixing Winnipeg's roads. Marty also sat as Chair of the Transit Advisory Committee and is a member of the Innovation Committee," Mednikov adds. Mednikov, a real estate broker and owner of Vanguard Real Estate also points out that in Charleswood, where Mednikov resides,there are important projects which have become a reality thanks to Morantz's efforts, such as the re crowning of the football field at Oak Park High School as well as the brand new sports courts at LaFleche Park. Mednikov estimates that there are close to 300 newcomer families in the riding, and many like himself have Conservative views. "I've already spoken to some new Canadians who have said that they are happy to support Marty, and I fully expect that there will be more like them. Newcomers like myself who have met Marty are impressed with him." Mednikov adds that "Anyone wanting to find out more about Marty and his achievements and record can go to his campaign website www.marty4mp.com." In the 2011 Provincial election Morantz was the PC Manitoba Candidate in the riding of River Heights. He has served as a member at large on the Winnipeg South Centre EDA, as well as the Tuxedo and River Heights PC Associations. Morantz has a B.A. in political studies from the University of Manitoba, and received his law degree from Osgoode Hall Law School. 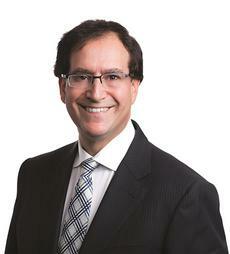 When asked about his legal career, Morantz says "For 23 years, I practiced law as a partner at Levene Tadman LLP in Winnipeg in the areas of real estate, corporate, commercial, and wills and estates. During my tenure, I acted as senior counsel to several large financial institutions and real estate management firms. In 2009, Morantz became President of Jernat Investments Ltd., a property investment and financial services firm with holdings primarily in multi-unit apartment buildings. Morantz and his family are active philanthropists, having made major contributions to projects such as the Saul Morantz Building at the Simkin Centre, the Canadian Museum for Human Rights, and the University of Winnipeg.